The House of Koborg is a consultancy firm found in Mauritius who specialise in several key fields such as Business Process Management (BPM), Consulting (Services Quality, Customer Care, Marketing, IT), Online Marketing, Hotel and Restaurant management. 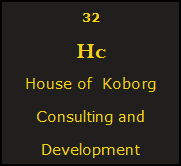 It is however not an exhaustive list, the House of Koborg offers many other marketing solutions that will fit your business. We offer customised services according to your budget. House of Koborg enjoys a sound reputation and credibility in the industry and we guarantee value for money service. The consultancy firm is directly involved with Mauritius Yellow Pages Ltd which is a showcase of our services and expertise. We are open to most fields concerning businesses in the physical form and online. The House of Koborg have the ability to troubleshoot and solve problems, even under pressure, so that the tasks are completed in a resourcefully manner and yet meet the requirements from the client.